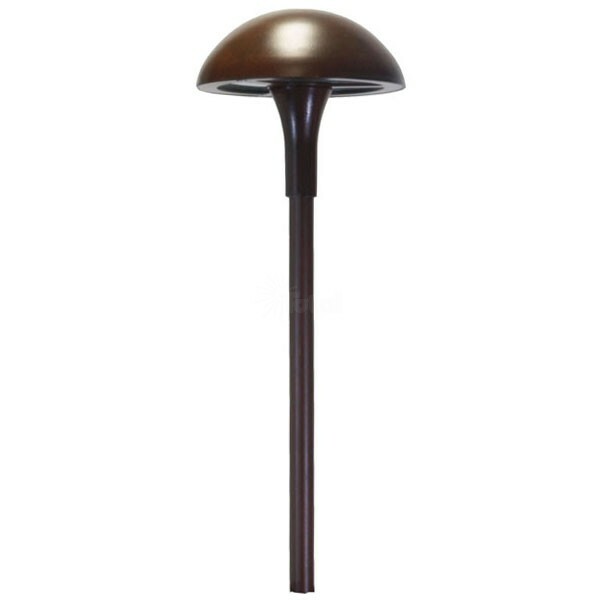 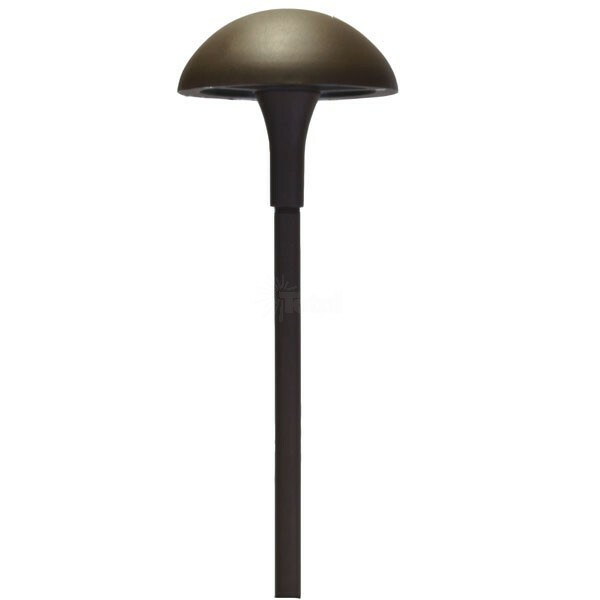 Medium round top low voltage landscape path light. 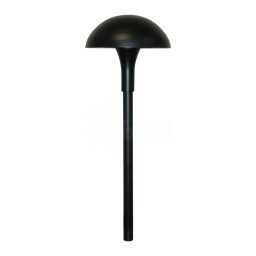 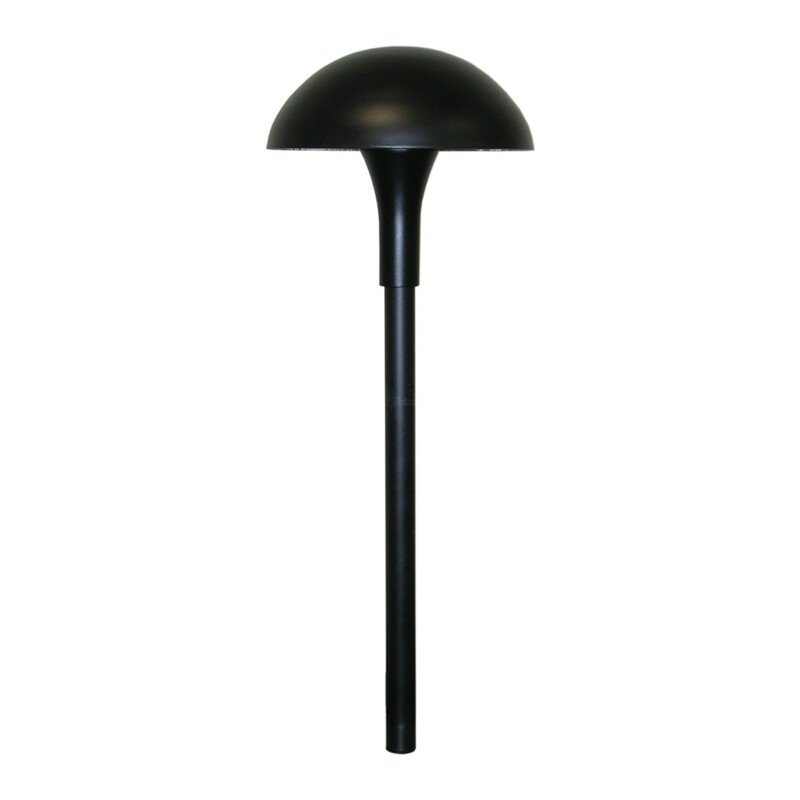 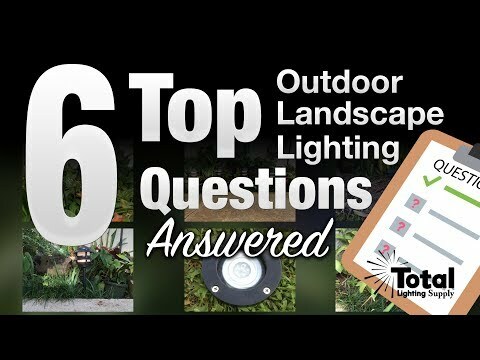 Built for long life and part of our professional line of low voltage landscape lighting path lights. 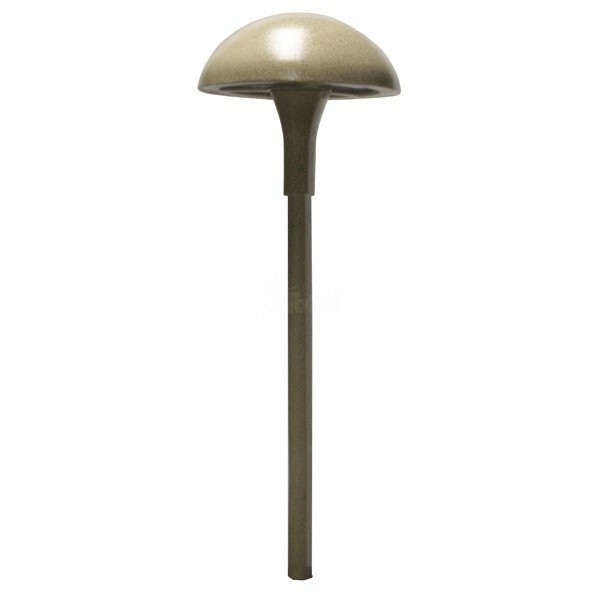 Shown here in verde green and available in black, bronze, sand, rust and verde green. 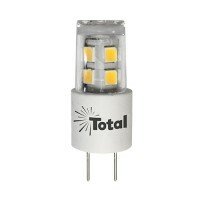 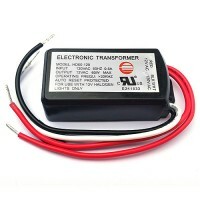 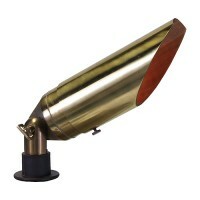 Ships with a 20watt halogen JC lamp but may be lamped up to 50watts max. 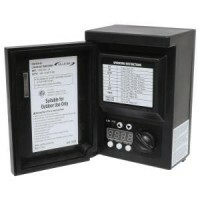 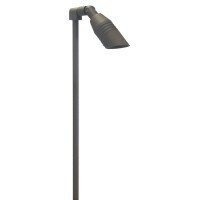 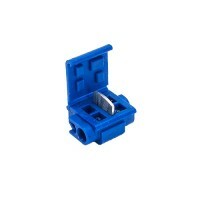 (50watt lamp sold separately) Fixture includes wire connectors and GS-10 heavy duty spike. 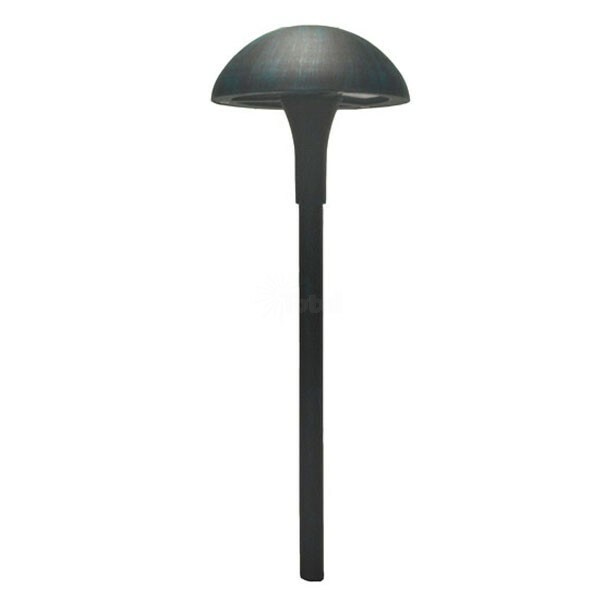 Twist off shade for easy re-lamping.